The evening downpour soon turned into a deluge as I took the on-ramp to the freeway, for my commute back home. As I tapped to activate Auto-pilot on my roadster, I could not help privately saying to myself how ubiquitous edge computing seems to have become. The car I am driving is a powerful onboard edge computer processing streams of sensor data locally in real-time, to make instantaneous decisions to speed up or slow down based on traffic, navigate lane curvatures, and respond to emergencies to prevent accidents – even when under an overpass without line of sight to a satellite, or when passing through a cellular dead-zone, or in bad weather. 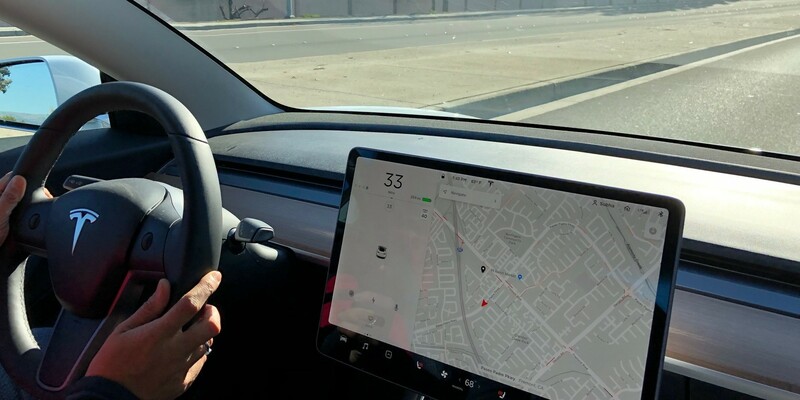 It does all the processing locally at the “edge” for sub-second response times for semi-autonomous driving – without depending on bandwidth or connectivity to cloud. Even if there was perfect connectivity and unlimited bandwidth, without edge computing, we would not be able to achieve a milli-second latency even if data center was only a hundred miles away. The traffic rule of our universe is nothing can travel faster than light. Light travels at 186282 miles /second, or about 186 miles per millisecond. With the data center 100 miles away, a round trip would be 200 miles, which is more than the distance light can travel in a millisecond. Edge computing makes milli-second response times possible by distributing processing close to the source of data without requiring a round-trip to cloud/enterprise core every time –making autonomous (or semi-autonomous in my example above) driving possible, to running enterprise mission critical business processes uninterrupted. Policy Service- We rounded off our enhancements for Cloud driven group-based mass deployment, activation and OTA (over-the-air) updates of Edge Services and configurations to gateways. Now, you can easily navigate to zoom in on problem gateways for trouble-shooting at scale, view deployments from a multitude of perspectives, set policies to enable auto-updates for groups of gateways and more . We also enhanced central configurations for persistency services and essential business functions. We expanded our Line of Business Functionality at the edge, to now support Environmental Health and Safety in S4/HANA. Safety incident reports can now be created on the Edge even in disconnected mode and synchronized later with S4/HANA when connectivity is restored. Likewise, customers can view list of safety incident reports at the edge in disconnected mode. As a reminder, our Essential Business Functions supports deep offline asynchronous operations at scale – you can run your business processes and workflows in disconnected mode, and SAP Edge Services will robustly (and bi-directionally) synchronize with Digital Core when connectivity resumes. Persistency Service- We added multi-threading enhancements to parallel-ize and improve performance for persisting fast moving incoming IoT data streams locally based on policies. Streaming Service– We added Steaming HDFS enterprise plug in to enable customers to move IoT data to on premise data lakes. This enhancement allows both enterprise and fidelity events /measures to be sent to an external HDFS server. Messages are queued up and sent at either pre-configured intervals or when volume thresholds are reached. Upon failure, the service attempts retry till successful. Lastly, our 1812 release includes several bug fixes, logging and security enhancements. In a nutshell, SAP Edge Services extends your intelligent enterprise to the edge reducing dependency on latency, bandwidth and cloud connectivity helping you achieve a quantum leap in business outcomes – whether you are at an offshore oil rig, an open shaft mine, a remote plant, a retail outlet, a clean room that is disconnected from your other systems for IP protection, a sailboat on the sea, and the list goes on! I’d be interested in your feedback on Edge Services. What capabilities would you like to see going forward? Let us know, and do stay tuned for a lot more exciting enhancements and announcements to come with Edge Services in 2019! For now, I wish you all a relaxing holiday with your loved ones and a very happy new year!